England-The world of Premier League soccer is going crazy. After a year of hustling and bustling to win Southampton F.C. 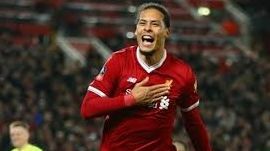 star defender Virgil Van Dijk, Liverpool F.C., the fourth ranked team in the premier league, outbid Arsenal, Chelsea and Manchester City by making a 100 million dollar offer to acquire the 26 year old phenom. The center back will be the most expensive defender ever. Liverpool fans and Coach Jurgen Klopp are elated. A year ago, the owner of Southampton F.C (Katharina Liebherr) rejected early offers of only 35 million for Van Dijk.The 100 million dollar offer left the owner no choice. Van Dijk was anxious to leave Southampton and go to Liverpool so the negotiations continued throughout the year. Liverpool gained a place in the elite group of international teams vying for the coveted Champions League trophy. They are in the round of 16 and will resume play on February 14th against Porto with Van Dijk as their new star defender. Defense is an area where Liverpoool has fallen short. No doubt about it, Liverpool just added a great young defender to their club. Van Dijk will most likely play on January 5th against rival Everton.